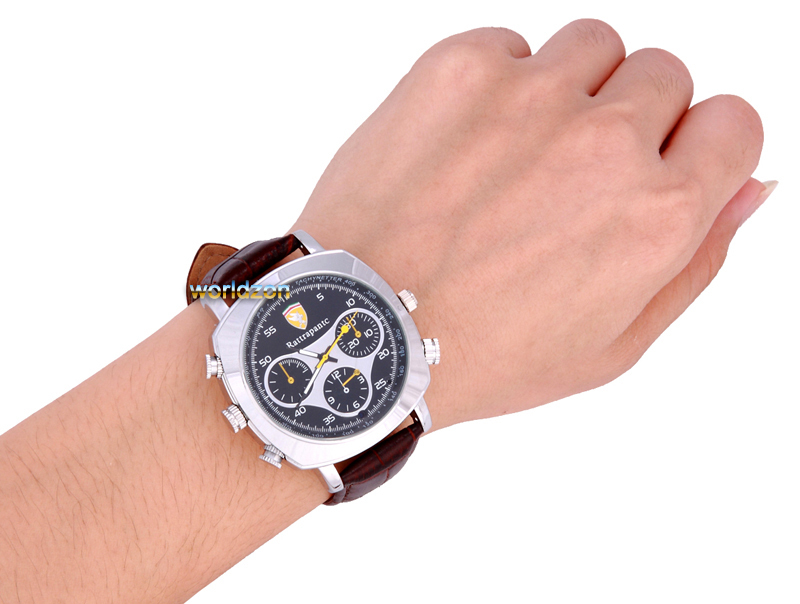 The HD spy watch records 1280x720pAVIvideo or 1600x1200 still pictures. The recordings are stored on the built-in 4GB of memory (can not be upgraded). This built-in memory will allow you to record approximately 1 hour of video or take over 10,000 pictures. A high capacity polymer lithium battery is built-in and will power the DVR for about 2 hours. 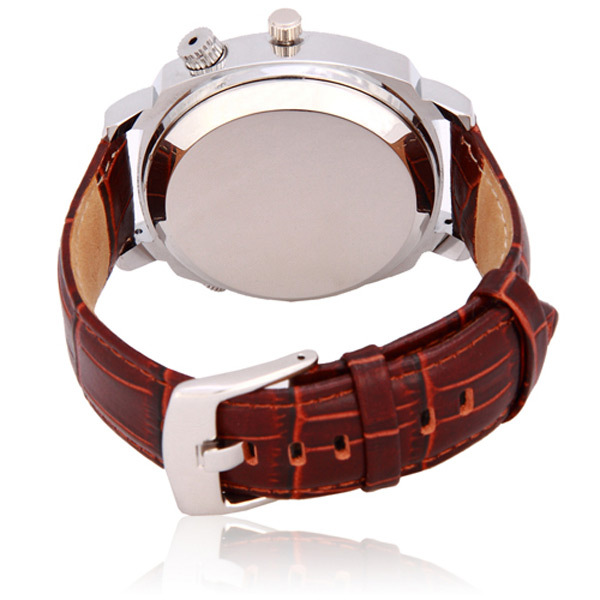 As an additional option, we have included a genuine leather band-its like getting 2 watches for the price of one. 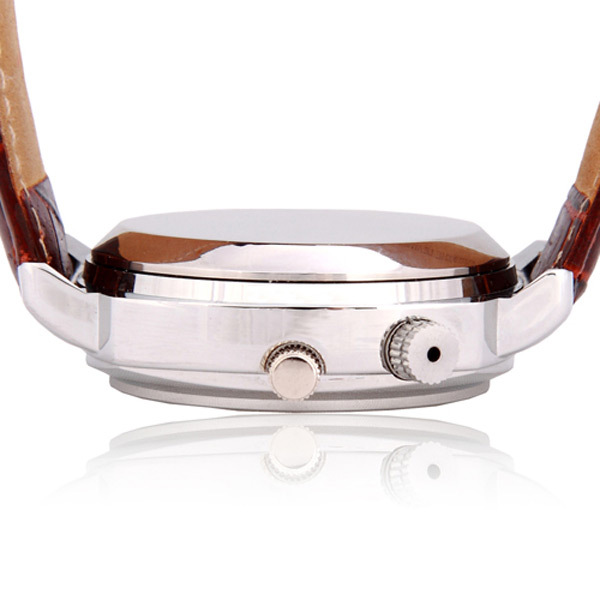 The HD spy watch comes with aUSBcable, AV out cable, 1 metal band, 1 genuine leather band, wall adapter for charging, microphone cover(for underwater use), user manual, and CD.